How to Apply Your Recovery Skills to Your Family Life. The only requirement for recovery is the desire to change. Once you’re in recovery, you must put in the hard work to create change within yourself. Not only will you learn skills that can help you recover from drugs or alcohol, but these skills can help in all areas of your life. Essentially, you’re re-learning how to face the world without drugs. And there are many benefits to applying your newfound recovery skills to your family life. Below are a few examples of skills you’ll learn in recovery that can help improve your family relationships. In stark contrast to drug addiction. where lying is the norm, honesty and transparency are essential for recovery. Now that you’re sober, you’ll need to learn how to be honest again. Unfortunately, the family of an addict usually bears the brunt of his or her lies, so honesty is a touchy subject. Once broken, trust is difficult to repair, but it is possible. As you apply your new skills of honesty and transparency in all areas of your life, your family will begin to see you in a new light. It may take some time, but don’t give up. Just keep living an honest life, and your loved ones will eventually begin to trust again. Most addicts use drugs or alcohol as coping mechanisms to deal with stress and anxiety, so they must learn new coping skills in recovery. These skills can be used to manage negativity and stress in your family life, so you don’t take things out on your loved ones. In recovery, you may learn to deal with stress through meditation, exercise, painting, music or counseling. These are all great outlets that you can use to deal with triggers after rehab. When you were addicted, your family may have seen your behavior and responses as irrational. In recovery, you must show them that you have grown. One way to do this is by using your newfound coping skills to manage stress and anxiety. Being in recovery is all about having and achieving your goals. 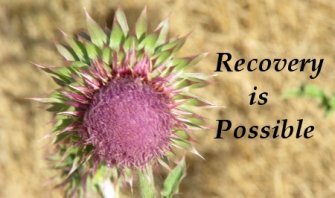 If you’re like most recovering addicts, you may take things one day at a time. If that sounds like you, your goal is to stay sober for the entire day. Then you wake up and do it all over again. Goals can help with your family life too. Think of every action you speak about as a goal. For example, if you say you’re going to take out the garbage, that goes on your to-do list for the day. This may sound oversimplified, but it’s really this easy. If you focus on everything you intend to do as a goal, you’ll become a trustworthy and dependable person. Your family will know that you’re a man or woman of your word and they can also depend on you for larger tasks. Sticking to a routine is one skill that all recovering addicts must master. Having a healthy routine will help keep you from detrimental activities that challenge your sobriety. Your healthy routine may include a regular sleep schedule, exercise, family life and healthy hobbies. Not only will you keep downtime to a minimum, which is great for recovery, but you’ll also dedicate time to spend with your family. This will help bring you closer to your loved ones as you work through your recovery. Communication is a skill that's important for everyone, but it's difficult to master. During recovery, you'll be tasked to communicate a great deal. During this time, you'll learn techniques that you can use to keep effective lines of communication open between family members. You'll learn how to truly listen to another person's needs and how to communicate your own needs effectively. You’ll even learn how to form new friendships that can help get you through this trying time. Recovery will prove to be a challenging journey, but in many ways, you may come out on the other end as a stronger person than you were before your addiction. The skills you learn in recovery can help mend the damage done to your family life through addiction, and it may make those bonds even stronger.